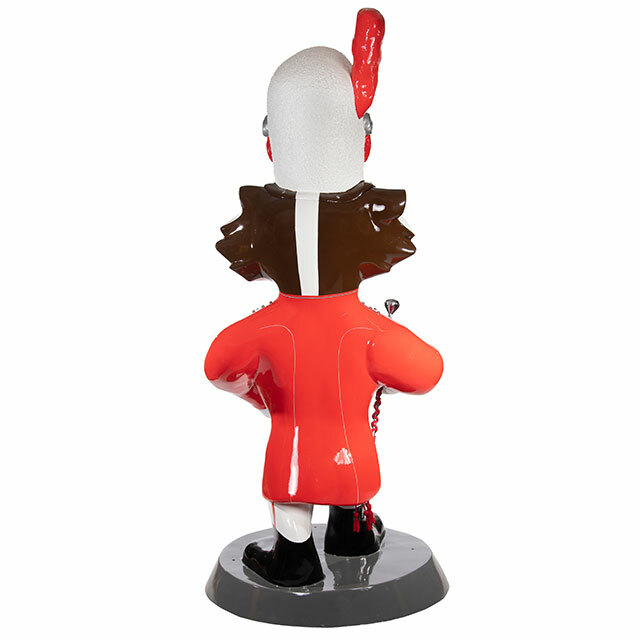 The drum major is the leader of the marching band, and Major Bucky leads the way with striking artwork and fiberglass additions for his outfit and baton. This project has a very special meaning for me. A few years ago, I participated in a project called "Herons on Parade" in La Crosse which was special because I worked on the statue with both my mother and father-in-law. They were legendary people who loved life to the fullest and brought great joy to our family. Unfortunately, they both battled cancer for well over five years and never once complained about what it was doing to them. Sadly, we lost both of them to the disease. No one should have to endure the sadness cancer brings with it. 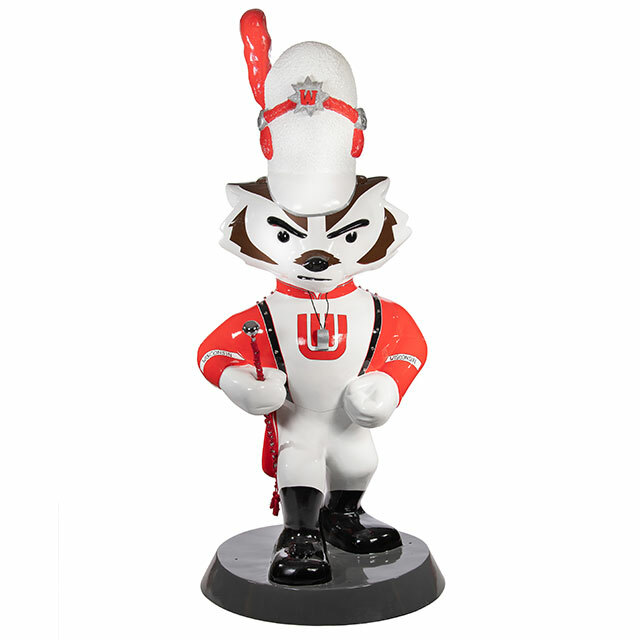 When I found out that the proceeds from Bucky on Parade would be used for cancer research, I was all in. It is such a great chance for me to give back by supporting and bringing awareness to cancer research for the citizens of our state.